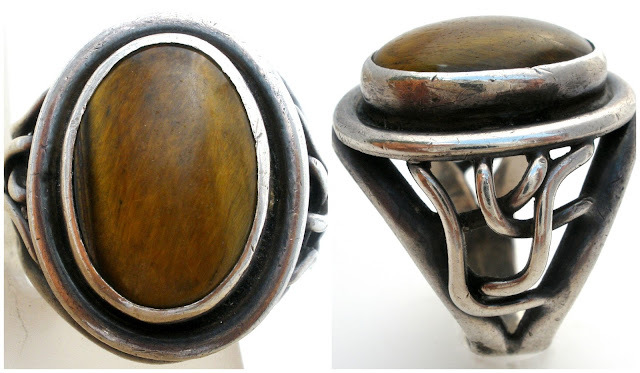 This is a well made sterling silver ring with a large oval brown tiger's eye gemstone. This 925 ring is size 10 and is available in my store, just click the link below for more details. Tiger's eye ring can be found here.